Alashia is Of Counsel to the firm and offers a broad range of experience in legal counseling, litigation, project management and alternate dispute resolution. She has represented corporate and individual clients in commercial and other complex matters in state and federal courts, including contract disputes, mass tort and toxic tort litigation, class actions, intellectual property claims, and insurance coverage litigation. As an experienced litigator in diverse practice areas, Ms. Chan has developed the perspective and skill to identify and manage risks associated with various commercial transactions. She has also served as a project manager on both small and large scale matters, and has extensive experience developing case assessments, strategies and budgets, leading case teams, managing crises and press statements, and implementing cost containment measures to curtail litigation expenses. Those measures include oversight of e-discovery projects and outsourcing. Ms. Chan is also experienced in dispute resolution and currently serves as a Board Member with the New Jersey State Board of Mediation. 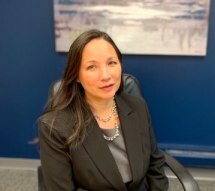 Prior to private practice, Ms. Chan served as a law clerk to the Honorable Donald J. Volkert, Jr., of the New Jersey Superior Court (1994-1995). Successful defense of international bank, a prominent premises owner, in a federal mass-tort litigation arising out of cleanup and restoration efforts in the aftermath of the September 11th terrorist attacks. Successful prosecution of insurance coverage claim on behalf of international bank and premises owner for property damages resulting from the terrorist attacks of September 11, 2001. Successful defense of public utility in a mass tort matter involving hundreds of personal injury claims arising from alleged exposure at a former manufactured gas plant. Successful prosecution of Lanham Act and breach of contract claims on behalf of hotel franchiser. Successful representation of patent holder in patent infringement and anti-trust action. Successful representation of employer in enforcing terms of non-solicitation agreement. Representation of government agency in pay-to-play investigations. Selected Arbitrator on various labor disputes including wage and unjust termination claims.